Sol has uploaded some great images to our Flickr Group for the World Worst Urban Places and Spaces book. 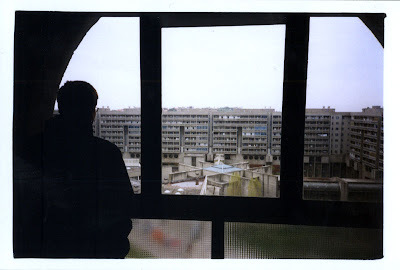 The photographs focus on the Rozzol Melara settlement in Trieste, Italy, taken in 2004 while Sol was researching is final these project entitled ’31 Stories’. The complex consists of a squared array. Adjacent blocks are connected by a small bridge. It’s all about concrete. By entering the Complex you instantly feel uncomfortable. I have hardly had these in any other building. 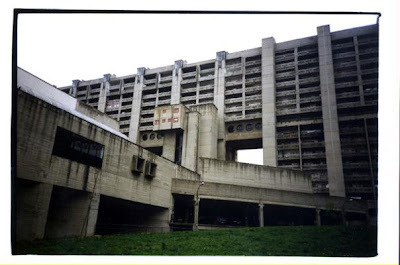 But this is a piece of real brutalist architecture. Wide and dark corridors where the residents even take their dogs for a walk, lots of echoing sounds, and yes on one of the pictures you can actually see a car driving inside the house, there’s a ramp leading to the higher floors. Climbing up complex stairways, the structure really is a maze! A place definitely not to live in and as a place still very fascinating and disturbing. The images do portray an unnerving place, it almost goes without saying that if the development was in the United Kingdom it would of probably been listed by now. You can view the rest of Sol’s pictures direct via our Flickr group, while your there upload your own images to appear in the forthcoming reader created book on the Worlds Worst Urban Places and Spaces. An archive of all the submissions so far is on the companion Worlds Worst Urban Blog. great contribution and scary pictures! A really scared place to live.